As a business owner, it can seem like there is an endless amount of laws and compliances you have to follow. From getting a certain license, such as a liquor license so you can sell alcohol to paying your sales taxes every month to the city, county, and state, operating a business is no easy feat. Add to this that every year you have to have a fire code inspection that you have to pay for. All of these compliance issues can seem annoying, but they all serve a purpose — keeping the public safe in your business. MLN Fire Protection serves the great people of Houston and the surrounding areas with fire protection systems. We are a leader in designing and implementing highly-effective fire protection systems in order to keep your clients and patrons safe. Below, we’ll explain the importance of fire safety inspections, as well as offer up valuable tips on fire prevention. Contact us today for all of your fire safety needs! Fire safety inspections identify fire hazards. Trained in fire safety and fire prevention, your local fire department or fire safety companies such as MLN Fire Prevention are experts at spotting fire hazards in your business, office, or commercial building. Damaged power cords or a plethora of combustible materials in a small confined space are just some of the fire hazards we are looking for. Fire safety inspections inspect your fire equipment. Like all things made from humans, they deteriorate over time. Whether you have a wet-pipe sprinkler system, dry-pipe sprinkler system, or a different type of sprinkler system, fire experts will check for functionality. From the sprinkler heads, fire alarms, and the fire pumps and fire tanks, fire experts will ensure all are connected and sealed with no visible damage. Fire safety inspections serve as an educational opportunity. Both your local fire department and independent fire inspection companies such as MLN Fire Prevention encourages you and your staff to accompany us during the fire inspection. We’ll explain what we’re looking for, offer up valuable fire prevention tips, and explain any fire hazards we do find. This will help you prevent any fires in the future as well as be able to explain fire code and safety procedures to your staff and patrons. Fire safety inspections promote the maintenance of your building. 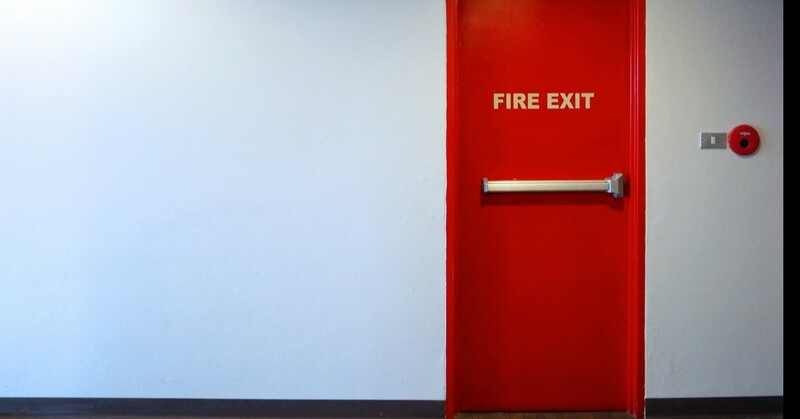 Taking the opportunity to really examine your building for fire safety hazards can lead to much-needed improvements both in your fire safety, but also in other safety hazards as well. You might notice a crack in the wall you hadn’t seen previously, a shift in your concrete basement flooring, or maybe even just a broken window. Fire safety goes beyond just the fire system. Fire safety inspection keeps everyone safe. Employees are entitled to a safe working environment and knowing the building they spend a good part of their lives in is safe not only increases productivity, but it increases employee happiness as well. Fire protection and fire alarm systems have increased in complexity over the years as fire experts have learned from fires over time and worked diligently to prevent them in the future. Fires in the workplace are extremely dangerous and can be a very real threat to your staff and patrons. 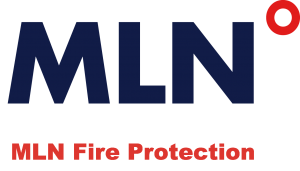 MLN Fire Protection is passionate about saving lives, and we’ve done this through designing and implementing the best fire protection systems in the Houston area. We encourage you to learn from your annual fire inspections from your local fire department, as well as to give us a call. We’d be privileged to inspect your business or commercial building and offer up another point of view. We’ll share with you what we’ve learned throughout the years and offer up possible upgrades to your fire safety system to make your workplace even safer. Contact us for a fire sprinkler and fire safety inspection today!